For some time there has been quite a debate among scholars regarding the origins of the red hair gene. According to some, the gene for red hair is inherent to the Celts, while others claim it to be a genetic trait specific to the Norsemen, being brought to the British Isles during the Viking Age. There is also a third category of historians and scientists who agree on a common Celto-Germanic genetic trait, rather than a separate origin for the gene. What are the causes behind red hair? Scientifically speaking, red hair is the result of a recessive genetic trait which has been caused by a series of mutations in the melanocortin 1 receptor (MC1R), a gene which is located on chromosome 16. Being a recessive genetic trait means that both parents must cary the gene in order for their children to be born red haired. An interesting aspect of this gene is that there are far many carriers of it than people who are actually born with red hair. For instance, Scotland — which is reputed for being one of the homelands of the red hair gene alongside Ireland and Wales — has a rate of 13% of its total population with red hair, as opposed to roughly 40% who actually carry the gene. The red hair gene is very rare worldwide, with only 0.6% of the world population sharing this genetic trait. Where is red hair most common? The highest rate of frequency for red hair can be traced to Ireland (ranging from minimum 10% to maximum 30%), Scotland (ranging from minimum 10% to maximum 25%), Wales (ranging from minimum 10% to maximum 15%). As such, one might conclude that the Celts are actually responsible for the red hair gene. Nonetheless, when referring to the European frequency of red hair, just after Wales one could consider southwest Norway in this top as well. According to Professor Donna Heddle, the director for both the University of the Highlands and Islands’ Centre for Nordic Studies and a leading expert on the Norse, the red hair gene from Scotland is actually part of the Norsemen’s heritage. Did the Vikings actually bring the red hair gene to the British Isles? Professor Donna Heddle also explained that the perception according to which the invading Viking raiders of the British Isles were blond is nothing more but a mere misconception. According to the same theory, the Norsemen were likely red headed. This may be true, at least in part. Not that many Viking warriors were naturally blond, indeed. In fact, blond hair was very much sought after in Viking Age Scandinavia and many Norsemen dyed their hair blond. And indeed, this actually holds up to be true even to these days. For example, if we are to take a look at the areas in Ireland where the Norsemen settled, we can also see the highest concentration of red haired Irish people. 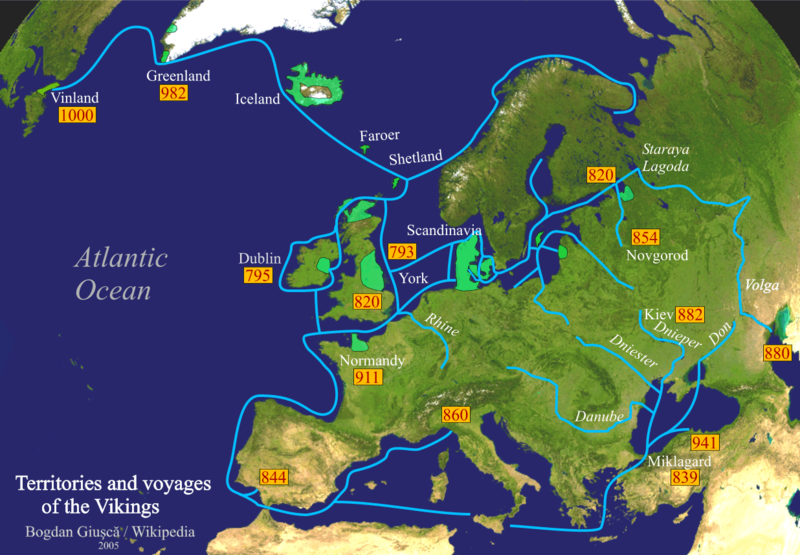 The Viking warriors who settled coastal parts of both Scotland and Ireland were mainly of Norwegian descent (shortly followed by Danish Vikings as well). Furthermore, it has been recently discovered that southwest Norway may well be the actual place of origin for the red hair as the gene was successfully linked to the paternal Y-DNA haplogroup R1b-L21, which includes one of its subclades defined as R1b-M222 — one that is very common for both northwestern Ireland and Scotland. A famous Norwegian Viking by the name Eiríkr Þorvaldsson (Erik Thorvaldsson) who was born born in the Jæren district of Rogaland, southern Norway in mid 10th century subsequently got renowned as Erik the Red because of the colour of his hair and beard. He is recounted in the Icelandic sagas as the first Norse settler in Greenland. In conclusion, analysing the maps above can hopefully solve the mystery concerning the true origins of the red hair gene and possibly debunk a few myths regarding the Norse culture and the Viking Age in general. I am of Norwegian heritage oaternaly, German maternal. Wife German and small percentage native American she is brunette, daughter one son and me are blonde, one son a red head. I want all of this I can get!! 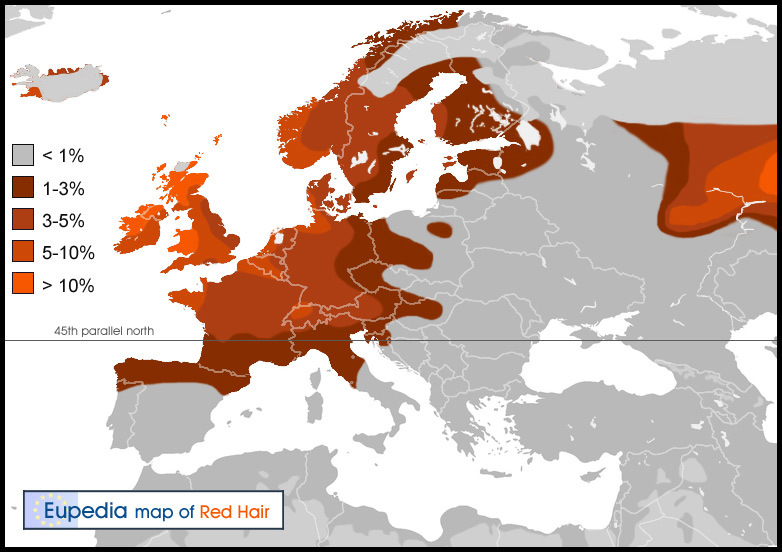 Highly unlikely Nordic redheads left in such great numbers that they became rarer in their”homeland” than elsewhere. Plus the gene flow would have worked both ways (slaves,allies, marriage etc.) In Roman times the Celts were already famous for their red hair. So much so that when Caligula had Celtic captives dragged through the streets by the hair in a triumphal march he had the non-redheads (majority) dyed to fit the stereotype.Long before that, the ancient Greeks descibed the Celts as having hair the colour of “burnished bronze”. 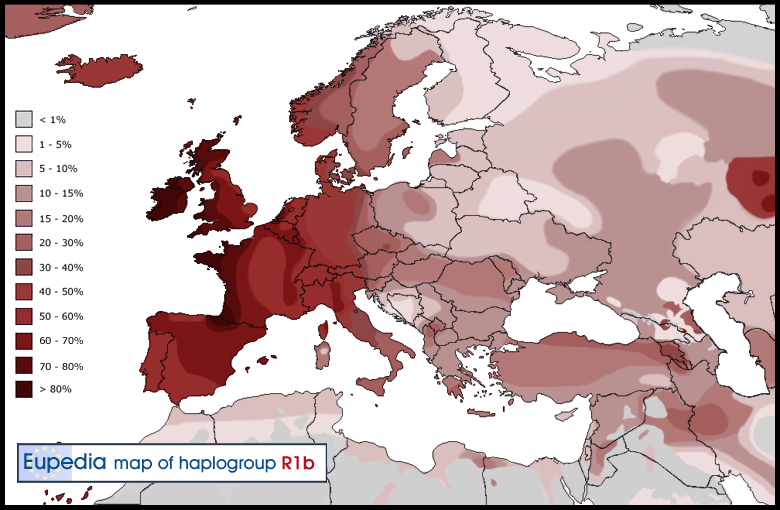 It does seem to accompany the haplogroups associated with Celts but is not exclusive to them; the Udmurts and Genghis Ghan´s clan being a case in point. I`m sure Nordics have their fair share of old-time redheads but I think it`s almost certainly a mistake to ascribe its origins to them! Don’t quote me on this, but I seem to remember almost everything I’ve read about Celts pre-Ireland as described by the Greeks as being tall, blonde, and blue eyed. Yes, if the majority left Norway then there should be some historical references. It makes more sense for migrations to reach these various locations much earlier. It is pure hucksterism to cut off the map of red hair at the Urals, when the partial map clearly indicates an increasing gradient as one moves further east into Kazakhstan and Mongolia, where red hair frequently occurs as everyone knows who has traveled there. Did the Vikings invade Central Asia? Obviously not. Red hair also occurs with some frequency in Ethiopia. Did the Vikings invade Ethiopia? The answer is that the red hair trait is much older than commonly assumed. It marked some group that migrated out of Africa to the region of the Pontic Steppe, and from there traveled east to Mongolia, north to the Viking lands, and west with the Celts. Bjorn Ironside did invade North Africa, Italy, Cecily, Greece, and traded with the Persian Empire hence the Varagian Guard. They also found a jade Budda in Norway and a wedding ring in Sweden with Aribac writing with the word Ala on it. Also don’t forget Kevian Russ and the Russian trade routes. When they were not racing they were trading and exploring. There you go. Rading not racing. Spell check strikes again. If think you mean ‘raiding’. What is rading? Cosmic justice strikes again. Thank you the Kievan-Rus’ were a major trade route & because of the Black Sea- a great place to learn & live. I am a redhead whose history dates back to Kievan-Rus which to be fair is Ukrainian & then later broke from the Principality & became Ukrainian & Muscovite or Russians. Never stop asking questions or researching – never know what you may find! I was wondering how the Romans describe the Celts of their era. I have a vague recollection of them being referred to as having red hair, and also liking to dye their hair as well. Is it more plausible that the red hair gene predates the Roman Empire and follows the route that early humans occupied these places. Cromagnon man had blonde and red hair. So did the Guanches of the Canaries as some of the Berbers in the Atlas mountains still do today. It is now proposed that the Celts originated in south west Iberia ( Portugal s Algarve region and adjoining Spain). Quite possibly from a very old race indeed, and diffused out from there. OH MY GOSH! Thank You to the person who wrote this! I was proven wrong in a debate about vikings having red hair and this article will help me redeem myself! THANK YOU! In the Eddas, red hair is associated with free landowning farmers. While blond hair is associated with jarls and rulers.